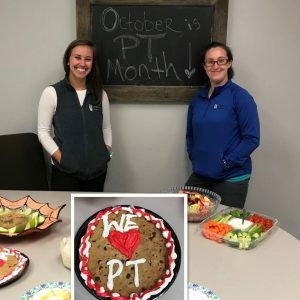 Your October might be spent ooh-ing and ahh-ing at the leaves changing colors — but our October is spent ooh-ing and ahh-ing over our awesome PTs!! October is National PT month and BBP is so fortunate to have 2 of the best PTs around! Thank you Allyson & Grace for all you do!